“Andropia, Scott William Foley’s intriguing novel reminiscent of utopian and distopian fiction, presents a number of big questions. What does it mean to be alive? What constitutes humanity? Should we question authority, and if so, why? What is our purpose in life? Does futility mock all endeavors? This slim book rivets attention from the first page, making it nearly impossible to put down until the last word is read. Foley also incorporates many historical and literary references into his story, and though a reader doesn’t need to know these references to enjoy the book, they enrich the writing by evoking concepts that further add to the significance of his science fiction thesis. The story consists of two parts, the first, a novel that includes the questions mentioned above and populated with a number of engaging characters. The second part consists of eight stories, seven of which are backstories to the novel. Although the novel and the stories can each stand alone, taken together, they extend the questions and provide a deep dive into the complexity of existence. The shipping is free, and please allow up to three weeks for delivery. If you’d like to read the first few chapters, click on this: Andropia Sample Chapters! My latest book, Andropia, is now live and available for purchase. I like to think of it as philosophical science fiction, heavily influenced by the world events of the last five years as well as classic works of literature such as Brave New World, 1984, and Fahrenheit 451. Andropia is the world’s last city, a utopia for its citizens known as Andropians. They exist to please the Maker, he who created them in his floating Citadel. Andropians cheerfully question nothing as they go about unnecessarily purifying air, cleaning water, and raising livestock. When Isaac arrives from the Citadel, his many questions lead other Andropians to compare him to the deviant Amelia. Soon Amelia and Isaac’s paths cross, and she persuades him to help rescue their people. For she long ago discovered a suspected harbinger of destruction, an object that could mean the end of life as they know it. Isaac and Amelia invade the Citadel and confront the Maker, but nothing could have prepared them for what they learn and their final fates. I truly hope you’ll give Andropia a try! Check Out Jude Landry’s Cover To My Latest Book! Be sure to visit Jude Landry’s website and look at his amazing work by clicking HERE! 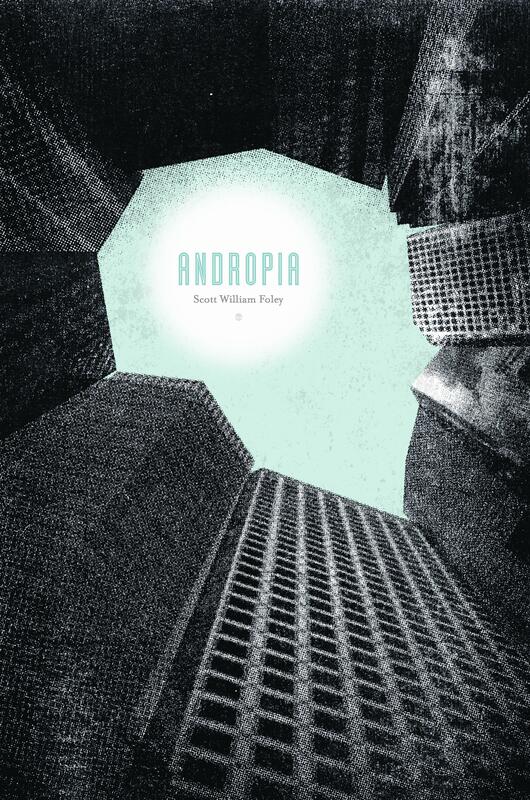 And don’t forget, you can use PAYPAL to order a signed copy of Andropia by clicking HERE! My Newest Book – Andropia – Arrives Soon! I’m ecstatic to announce that my latest book, Andropia, is due to arrive in just a few short weeks! The shipping is free, and because the book won’t hit the market for a few more weeks, please allow up to six weeks for delivery. As soon as they are available, I’ll mail you your copy without hesitation. I’m excited to announce that free samples of my work are now available at my website. Among them you’ll find stories delving into horror, religion, family dynamics, love, humor, and empowerment. If you like them, I hope you’ll consider checking out my two short story collections and novel.